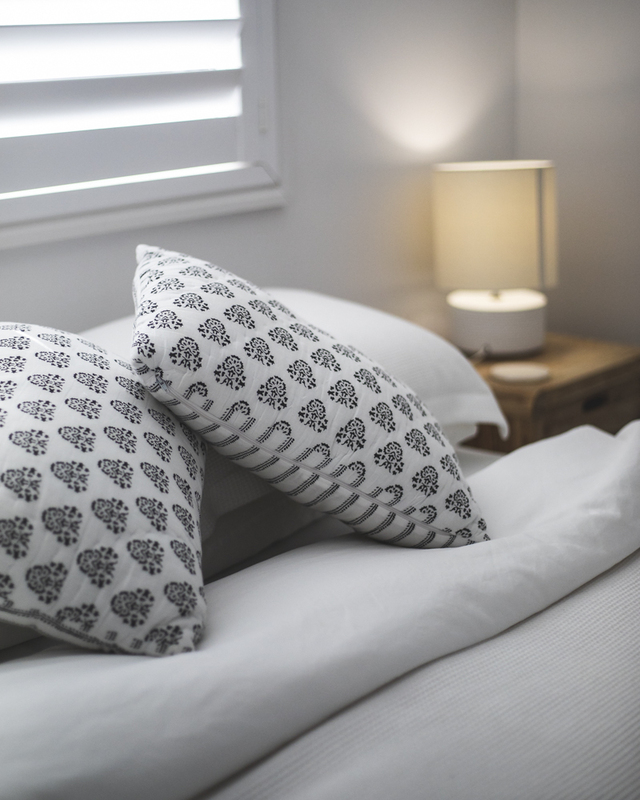 Stay in beautifully comfortable B&B rooms or self contained Cottage in Merewether, Newcastle. 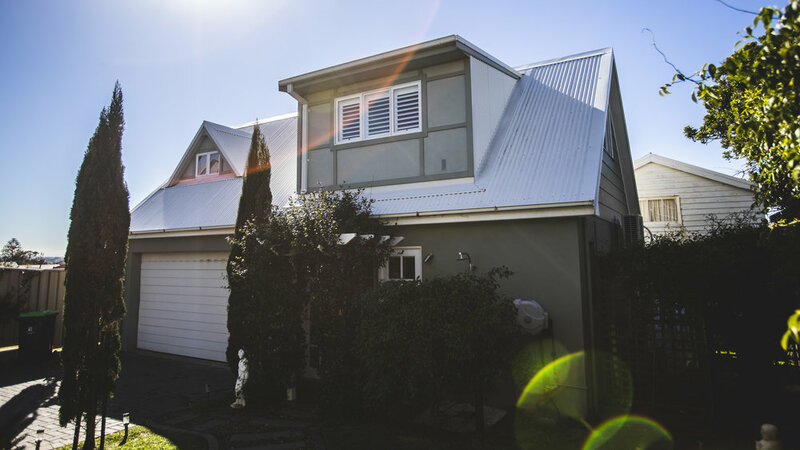 Located in Newcastle's most sought after seaside suburb, Merewether Beach House is only 150 metres from Australia's largest ocean baths and Merewether surfing beach with it's beach cafes. Newcastle's famous 'bathers way' walking path starts here. 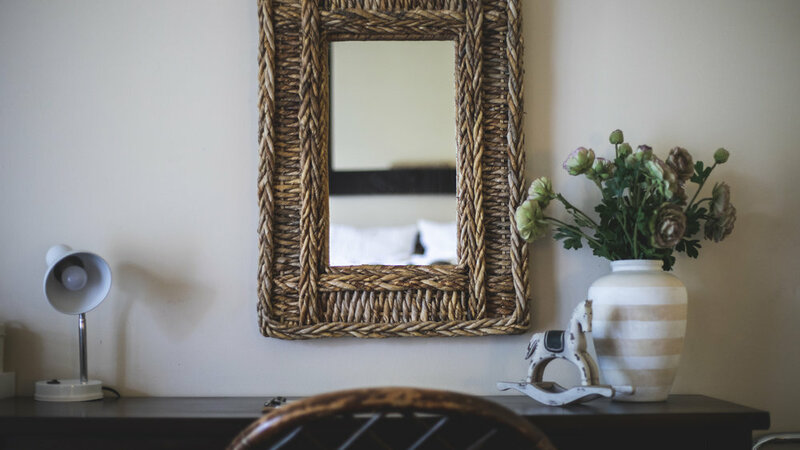 Our beautiful 90 year old period home has been totally renovated to modern standards then luxuriously furnished to create spacious and superbly comfortable, private, bed and breakfast accommodation. We have added a charming stand alone cottage for a self contained option. 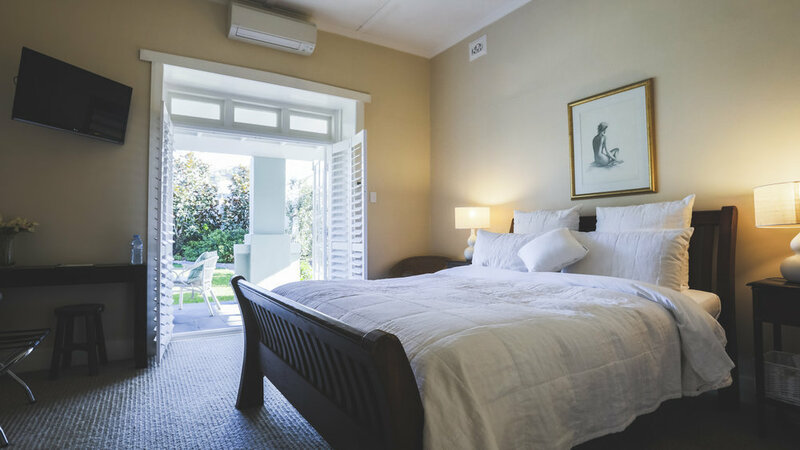 The main house with its high ceilings, wide hallways, tallow wood floors combined with the finest wool carpets, deep verandahs, big windows and french doors with plantation shutters and generous space makes the B&B rooms private and quiet. These elegant B&B rooms consist of two charming bedrooms featuring french doors opening onto a slate verandah and walled garden, two unique bathrooms, hallways and a large lounge/library. 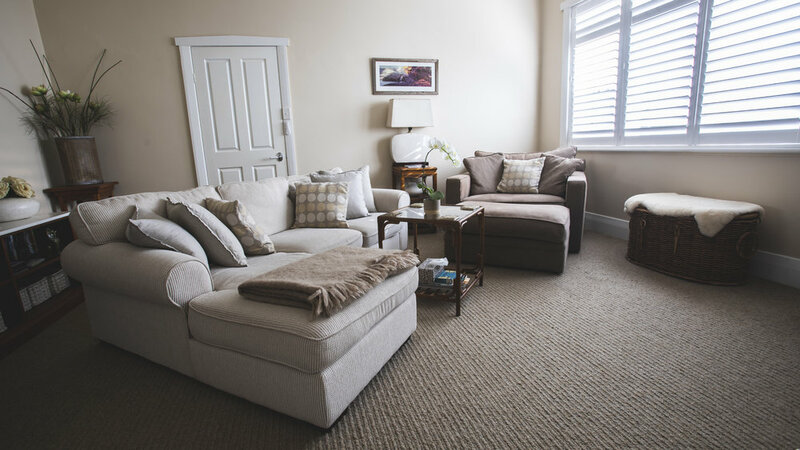 This whole downstairs front section of the main house can combine to serve as a two bedroom, two bathroom and lounge B&B suite or the rooms can be split to provide two separate and private B&B accommodations, both with their own entrance from the front garden courtyard. Bedroom 1 becomes part of a private B&B suite - its main door opening from the side verandah plus its bedroom opening onto the front verandah through french doors With separate lounge/library (which can accommodate a single bed), generous hallways and huge bathroom with a free standing bath, walk in shower plus two vanities, it is great for multi day stays. Bedroom 2 then becomes a smaller private bedroom with a lovely pebbled ensuite bathroom - its private entry is through the bedroom french doors from the garden - ideal for a single night or when a lounge room is not required. The light filled, cottage can be a delightful solution for visitors looking for a self contained option. The immaculate purpose built cottage is separate to the main house. The upstairs consists of the bedroom, kitchenette and lounge/dining area. Downstairs is a sitting room (with the option of a single bed) and bathroom with walk in shower. 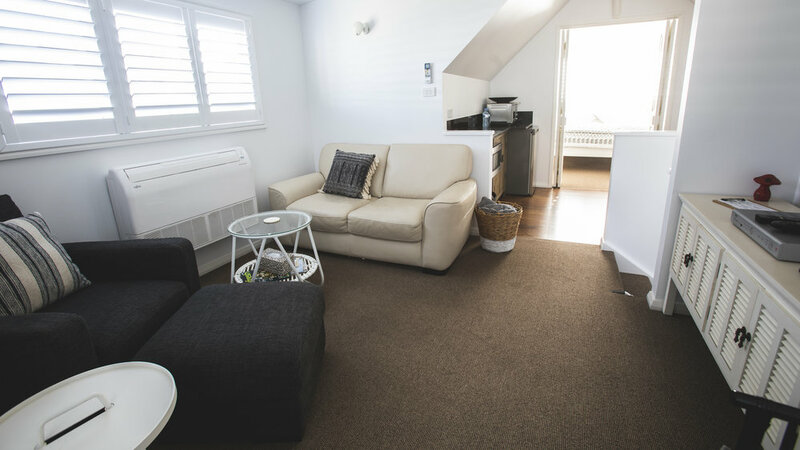 Guests enjoy free wifi, private 24hr access to rooms, foxtel in the cottage and the bed 1 suite, smart television, reverse cycle air-conditioning and tea/coffee making. 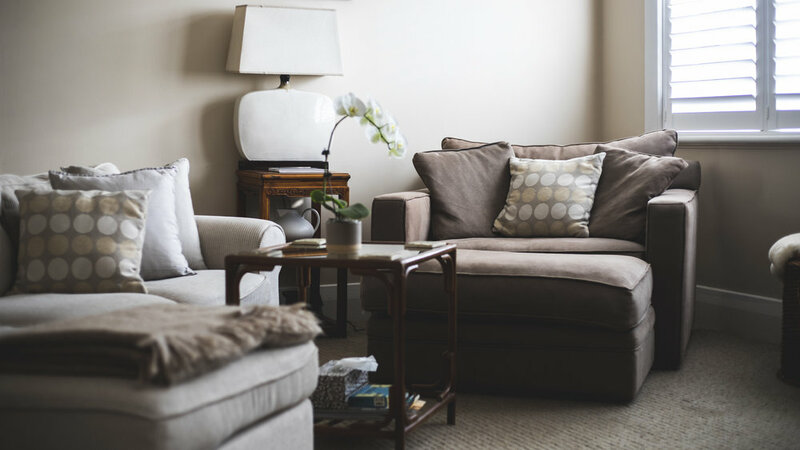 Whether you are visiting on business or just want to kick back and relax we would love to help make your Newcastle stay a pleasant, successful and memorable one. This suite is luxuriously spacious with hallways, bedroom, big bathroom with free standing bath and walk in shower plus two vanities as well as a large living area and library alcove. Private entry door from side verandah. Designed for a couple or small family of three. Upstairs is separate bedroom, kitchenette and lounge/dining area. Downstairs is the entry/sitting room and bathroom. 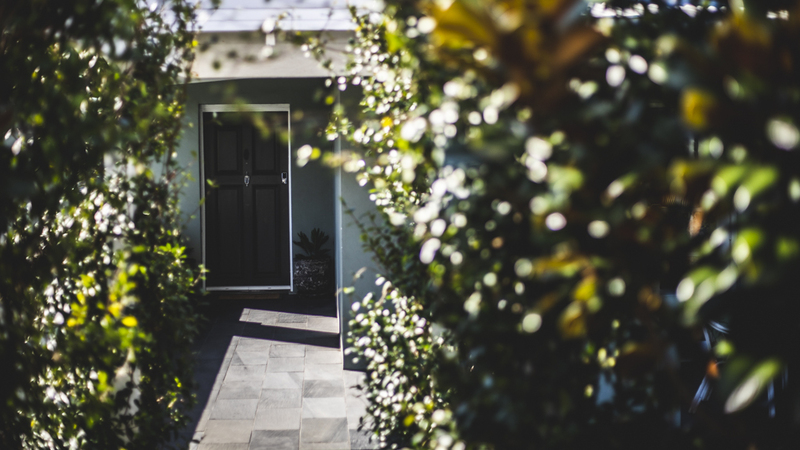 Opens onto the rear courtyard. "One of the best B&B's we have stayed at ever. Excellent breakfast, lovely hosts and close to beach." 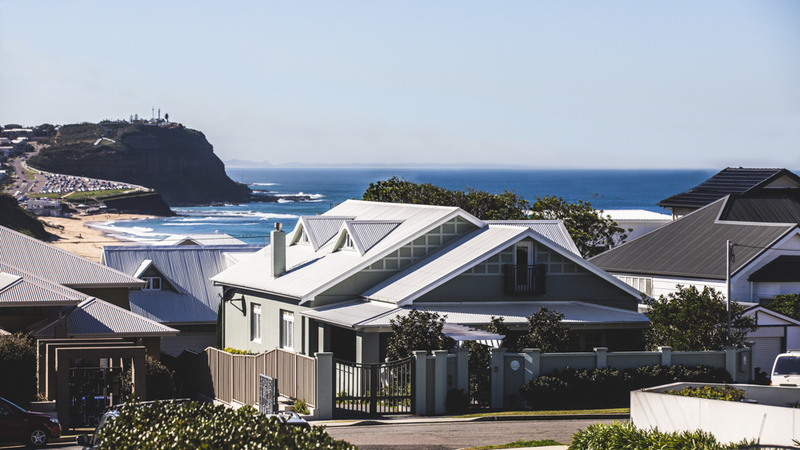 mEREWETHER bEACH HOUSE, b & b ROOMS OPENING ONTO FRONT GARDEN - SELF CONTAINED COTTAGE AT REAR. Throw a towel over your shoulder (or surfboard under your arm) - a short 100m stroll and you can take a seat at a whale watching station. Down the steps and you can plunge into the largest ocean baths in the southern hemisphere. 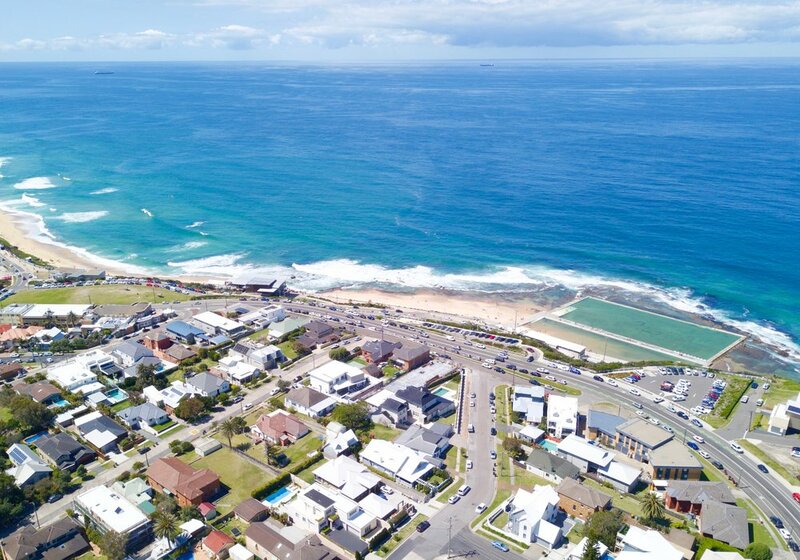 Fabulous Surf House, with its great restaurant, bar, function rooms, cafe and takeaway sits on the beachfront just a few metres further on along Newcastle's famous Bather's Way. 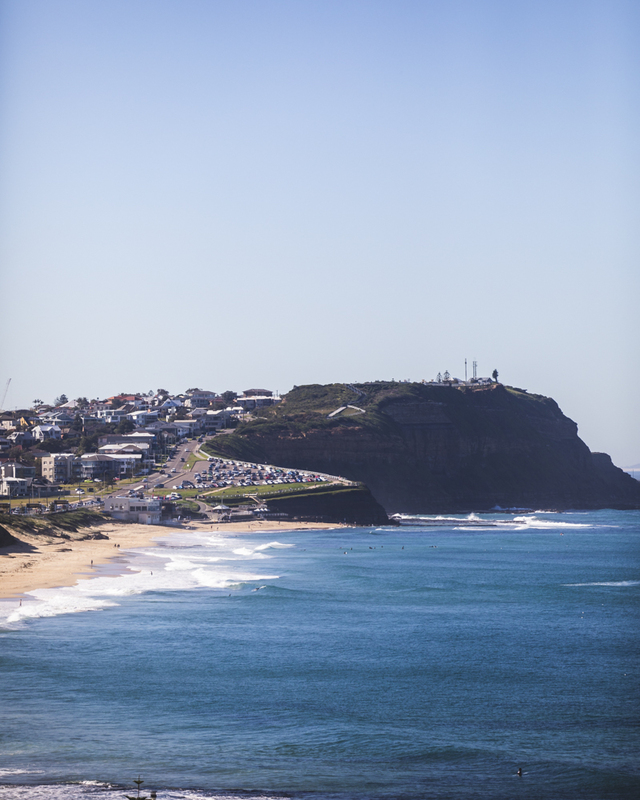 Get some exercise and follow it along the beaches and headlands, past beach cafes and parks, to Nobbys lighthouse and the Newcastle Harbour foreshore. Pick up an electric hire bike on the way if you like. Our longtime local pub, the Beaches, is just around the corner so take a short walk if you would like a laid back 'counter meal' and a cold one. Both this venue and Surfhouse have amazing views over the ocean. The Junction village is only 1.5 ks with its boutique shopping and restaurants. Newcastle's famous Darby Street (eat street) in Cooks Hill is just a little further. 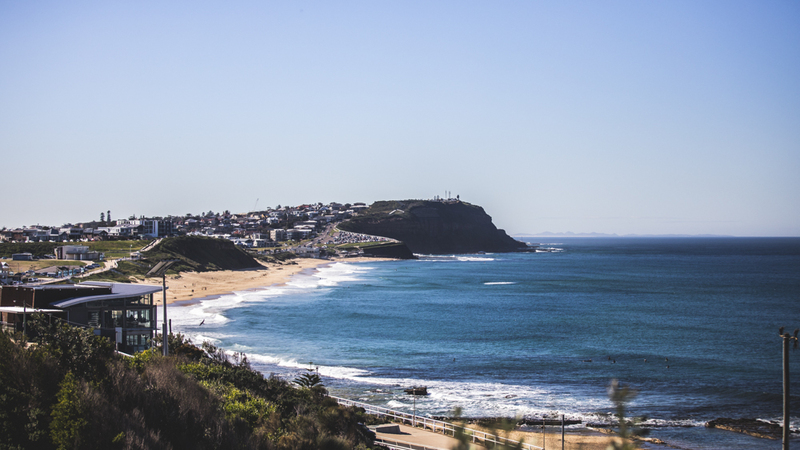 You will soon find out why Merewether is Newcastle's most sought after suburb! Of course we are the ideal location for swimmers, surfers and walkers, but if bush walking and off road cycling is more your style you will love Glenrock Recreation area just next door. Here the "Great North Walk" leads along the uncrowded Burwood beach to the lagoon and rain forest - or just hit the myriad bush trails. Only minutes away is the vibrant city of Newcastle with its beautiful working harbour and foreshore, exciting entertainment and music culture, museums, art gallery, marina, lighthouse at Nobbys, restaurants and bars. Check out Fort Scratchley, such fascinating history. Take a whale watching tour or visit one of our popular markets. Take a day trip to the Hunter Valley vineyards or Port Stephens (we recommend the shark and ray encounter). Visit the races, golf, hang glide, play tennis, chill, whatever - this is a great base for a great stay.